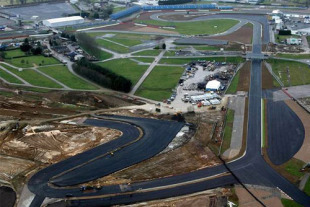 Work on the new Arena Circuit at Silverstone is nearing completion and is set to be ready at the end of March. The new loop will be added to the existing circuit and will be used at this year's British Grand Prix. The changed layout will retain the majority of the high-speed track, but will lose the Abbey Chicane, Bridge Corner and the left-hander at Priory - all of which will remain intact to provide an alternative layout. The drivers will now leave the old layout at Abbey, enter a tight right-hander and then a hairpin left. The new track opens back on to the existing National Circuit and eventually back to the old Grand Prix Circuit. 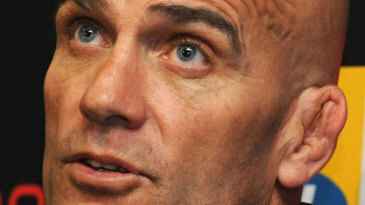 The extra length is expected to increase F1 lap times by four seconds. "Work on the circuit and venue is on schedule," Silverstone's managing director Richard Phillips said. "The team has been working around the clock, through some pretty terrible weather conditions, to make sure the circuit is ready on time. The track works at Brooklands and Woodcote are now complete, including the new run-off area for the fast entry into Pits Straight, while the major new development - the new section of circuit from Abbey, up to the Arena Complex and round to the National Circuit - is also coming along nicely." Silverstone still plans to push ahead with a new pit and paddock complex in time for 2011 and Phillips said there will be other upgrades to the facilities in time for this season's race. "There is still a considerable amount of work going on at Silverstone, including the new elevated banks and spectator viewing areas, which will continue beyond March. Conference and hospitality buildings are also being built on the new Stowe Complex."